Help my get my family's dog back! September 28th 2017 at 4:30pm My dog belly was illegally taken from me and given to the girl who gifted me her. this women who gave me this dog 8 months ago told me she had no paperwork for the dog other than the microchip information, she was extremely abusive and cruel to this dog. belly has become one of the most important parts of my life, i rarely went anywhere without her. but on September 28th the women who gave me the dog showed up at my door step with two police officers. they told me this women had paperwork showing the dog was hers. i told the officers how she was gifted to me and has been in my possession for 7 months. i explained how the microchip proved the dog was mine and that the women lied to me about the paperwork, i also asked that animal control would be called and the officers refused and forced me to hand over my dog, threatened to arrest me when i said they were illegally taking my dog. 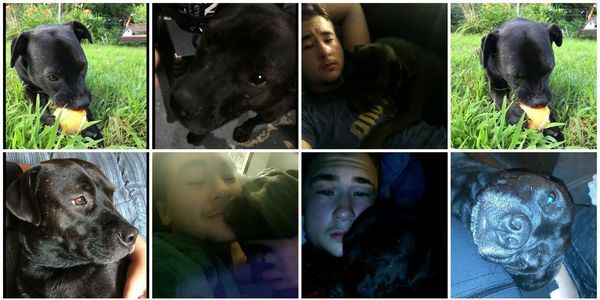 i spoke with the animal control officer the next day who asked why he wasnt called and how the officers had no right to take my dog since we had the microchip and the dog has been in our possession, he said he officer went against my rights and that he was upset that he wasnt called. i want to make as much noise about this as possible until i get my dog back. the women who stole my dog is in Indiana and the police are trying to cover up there mistake but i will not stop till i get my dog back. if you're my friend and have met belly, seen me with her and have been around when the women gifted her to me please sign this petition!!! help me get my dog back from this women!!! !